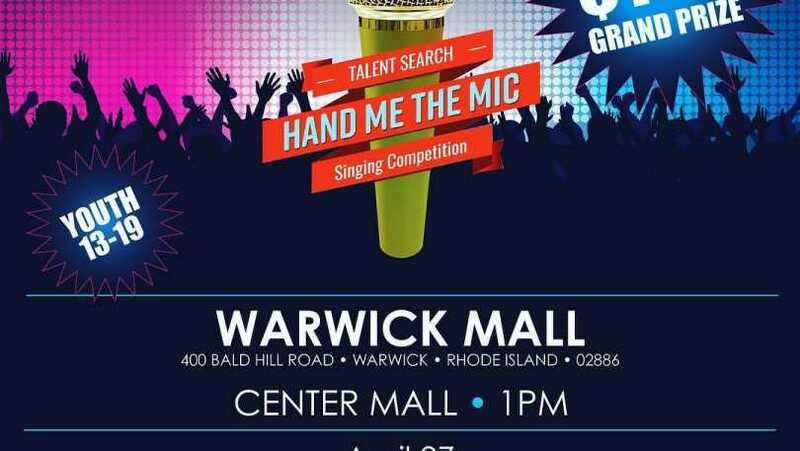 Ten contestants will be selected for each of the three preliminary rounds to be held at Warwick Mall and open auditions will be held on a first come, first serve basis from 12 p.m. – 1 p.m., with pre-selected competition beginning at 1 p.m. on Saturday, April 27, Saturday, May 18, and Saturday, June 22. Up to ten additional contestants from the open auditions will be chosen to compete. 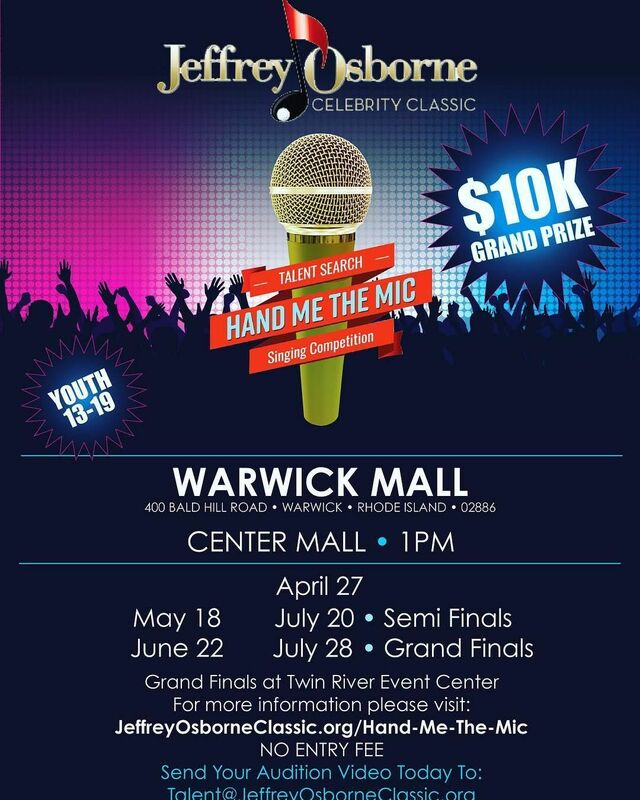 Three winners from each preliminary round, and a tenth judge’s choice will sing in the semi-final round on July 20th, also at Warwick Mall. Three finalists will have the opportunity to sing for Jeffrey Osborne and other celebrity judges during the ‘Hand Me the Mic’ finals, which will take place at Twin River Casino Events Center in Lincoln on Sunday, July 28th. Past judges for the event includes Osborne, Motown legend Smokey Robinson, R&B sensation Johnny Gill, Eddie Levert of the O’Jays and more. The Jeffrey Osborne Celebrity Classic mission is to support non-profits who provide services and safe, enriching environments for families and children including those in need, and also those supporting a continued push for music and arts to children including initiatives to put music back into public school systems. Thought its partnership with the Clay Osborne Foundation (a 501(c) (3) organization), the JOCC also provides music- and arts-based scholarships along with humanitarian awards to deserving individuals and organizations. For more information, please visit us at www.jeffreyosborneclassic.org.